Summer came crashing to a halt this last week...in our neighbourhood anyways. Out came the winter duvet, and closed went most of the windows in the house. And with that shuttering of the premises, it is just a matter of time before the air in this place becomes drier than a nuns ( ). Humidify we must, and humidify we will, but the standard humidifiers from the usual suspects offered at Walmart just aren't going to cut it, as we refuse to befoul the home with substandard crap. 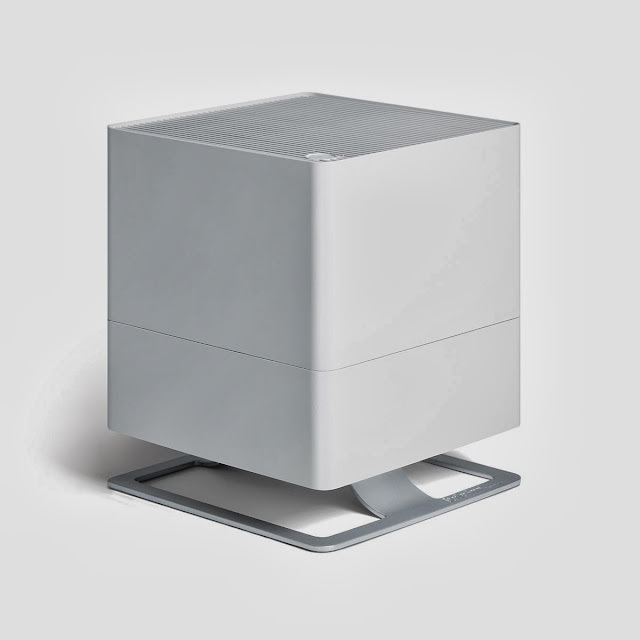 We choose the Oskar Humidifier, which sports Apple-esque design and a functional package. In addition to an auto shut-off when the tank runs dry, there is even a fragrance dispenser. You can see and learn more here.